So, if you are following me on all of my social networks profiles, you must be aware of the news that recently on 21st May, 2015 I attended an event at The Ashok Hotel, New Delhi. 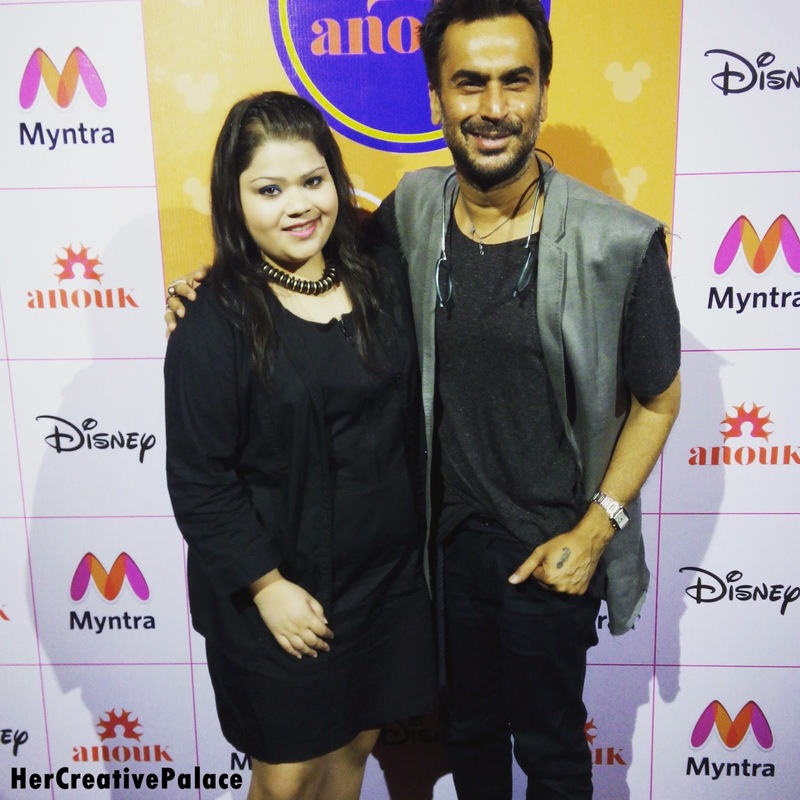 It was a launch event by Myntra and Disney India. 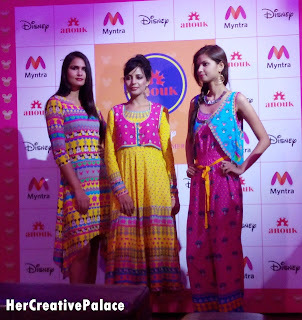 They both collaborated to unveil the contemporary Indian wear collection inspired by Mickey Mouse, isn’t it sounds cute? I reached the venue before time (as always) and finally it started with a bang at 12:30 pm. The anchor introduced the event briefly and welcomed all the guests and special guests for attending the event. After briefing the event, the anchor welcomed 3 models to showcase some of the designer clothes which were from the same collection. All the models were looking beautiful and the attires were really cool and super funky. You can have a look at the dresses in the images below. 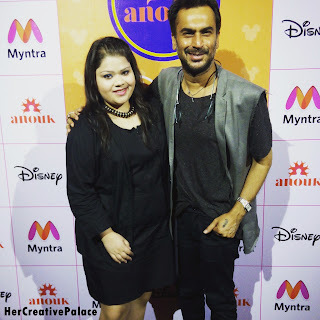 After the beautiful and funky ramp walk, the anchor welcomed Aki Narula (India’s leading fashion designer & stylist) and the head designer from ANOUK, the gorgeous Ruchi. Both the personalities shared their views about the collection and headed over to their respected seats. There was also a contest been organised by the team. So the next thing was the CONTEST!!! They invited 6 people in all, dividing them in groups and made 3 teams. They had to portray their creativity level by using attires from the collection and beautify a model. After few minutes, all the participants were ready with their respective models to set the ramp on fire. All the participants did a great job (in the images below). And then Aki Narula had to announce to final decision and handed over the hampers to all the winners. Then I started my journey to interview all the 3 important people. First I went to Jyotika (Spokesperson from Disney India). I asked her that what came in her mind to portray all the cartoons characters in clothes. She replied, “Disney is a brand globally which stands for family entertainment. An adult fashion is a new category but pretty a growing category across the world. So, even in India the idea was to take across interesting Disney motives. The idea was again look at the category here in India and see how well you can get those motives into an Indian context. 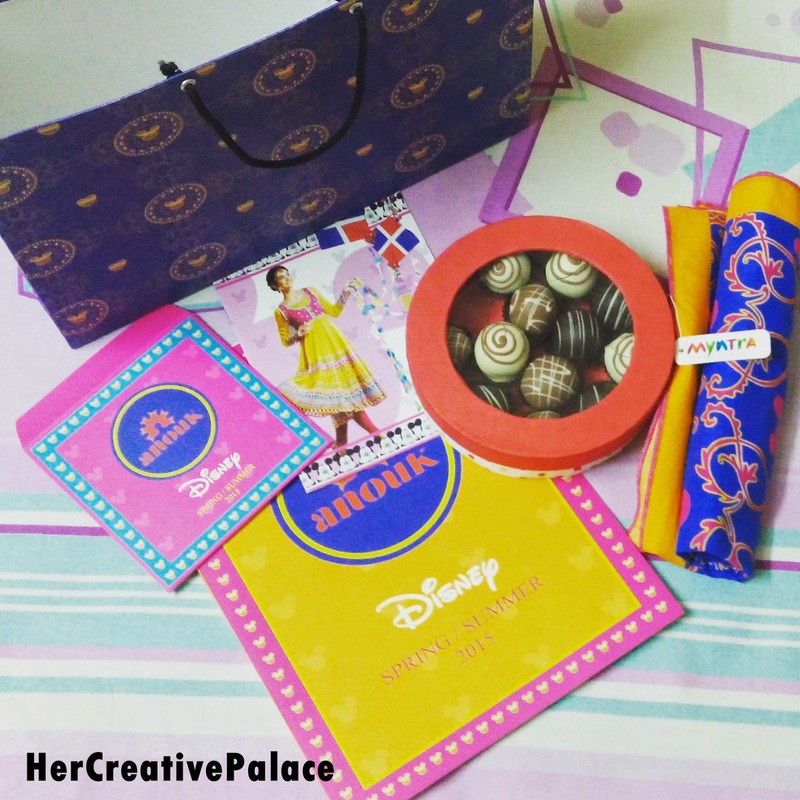 In summers we want to give Indian women something traditional which is usually what most women are comfortable wearing with temporary and Disney twists to it." After talking to Jyotika, I went to Ruchi to hear her take on this collection as she is a head designer. She said, "Women are today experimenting and everybody is looking for something different. Everybody wants to see every brand to stand out. In between all the colors the Mickey needs to stand out and that's why in this collection between all the colors, the Mickey is black and white standing out. It is a very fun collection which goes with the theme of Mickey." And finally, I went to Aki Narula!!! He is a darling, sweet and beautiful nature. I was the last one to interview him, huh!!! But it was a fun session. I asked him 5 question and I have planned to write that in another blog post, so you better watch out for that post to be published on my blog. But still, one quote given by him was, "Fashion is serious." Followed by yummy lunch, I left the venue at around 3 pm with the yummy and awesome press kit ever! Have a look in the image below! 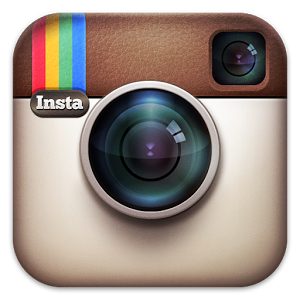 I really hope you enjoyed reading this post. Do let me know what you think about the new collection introduced by ANOUK and DISNEY with Myntra(dot)com.